In chapter three, he explains that everything has it's appointed time and purpose - "For everything, there is a season" (the Byrd's, 1966) - Solomon makes a most profound statement starting in in verse 11, "He has made everything beautiful in HIS time. He has set eternity in their hearts, yet so that man will not find out the work which God has done from the beginnings to the end". We need to exercise patience for God to complete His work in us, but in all our scholarship, intelligence and wisdom we will never know exactly what is going on behind the curtain, no matter how much we may think we do. In verse 12 reiterates his final conclusion, "I know that there is nothing better for them than to be glad and to get and do good as long as they live; And also that every man should eat and drink and enjoy the good of all his labor—it is the gift of God!" We deserve to enjoy the fruits of our labor. 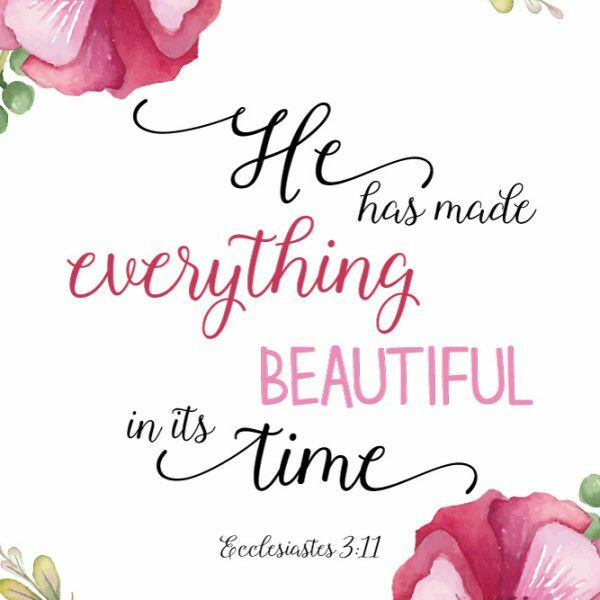 So, live your life, be happy with everything you have and have accomplished, praising God for it all - but with the knowledge and acknowledging that it all is in God's hands, in His time and according to His plan. If you do, God will make something beautiful of you (Proverbs 3:5-6).